Evergreen, Lake Tahoe. 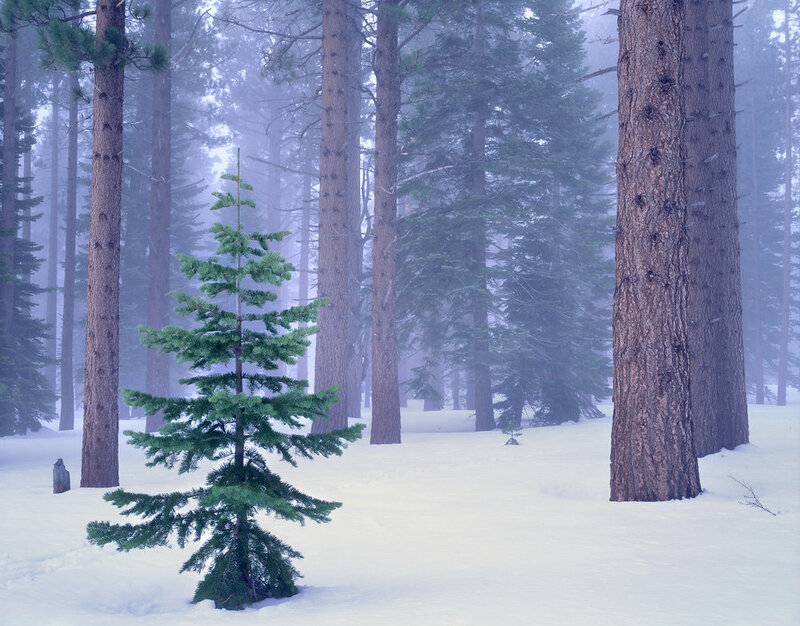 Winter pine forest Photo by large format landscape photographer Jon Paul. Simplicity is what draws me to a scene. As I hiked through the pine forest near the shores of Lake Tahoe on this rare foggy morning, the simplicity is what drew me to this composition. This one young fir tree stood out so strongly against the palette of white and brown. From the one small tree, a composition emerged. The contrast of this one vibrant hopeful youngster against the massive pines towering above and receding into the background is powerful. The fog adds a soft separation, and eludes to the hope for the future. I found both strength and peace in the forest this day.